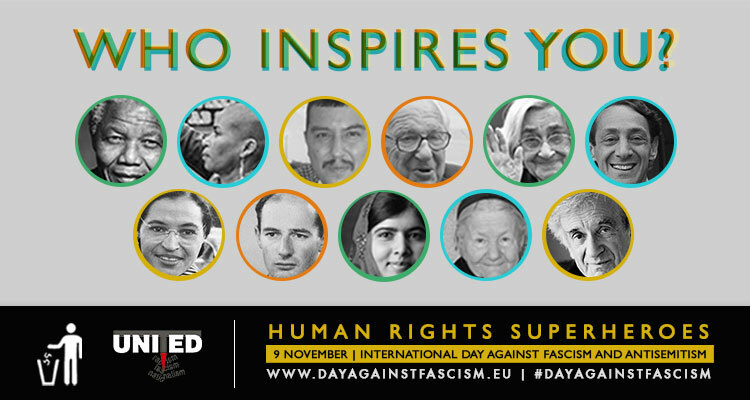 Here you can find the profiles of the inspiring Human Rights Superheroes that have been nominated by human rights activists and organisations all over Europe as part of UNITED’s 2016 International Day Against Fascism and Antisemitism (9 November) and Human Rights Day (10 December) campaign. Click the links on the left (or, if you’re browsing on mobile, at the bottom) of the page to browse through the profiles. Click here to find out more about the campaign and how to submit your own profile!